Tens of thousands of people came out to pay their final respects to the late, great Nipsey Hussle. (AllHipHop News) Nipsey Hussle's funeral service took place in Los Angeles, where the late rap star was mourned in a spectacular "Celebration Of Life." 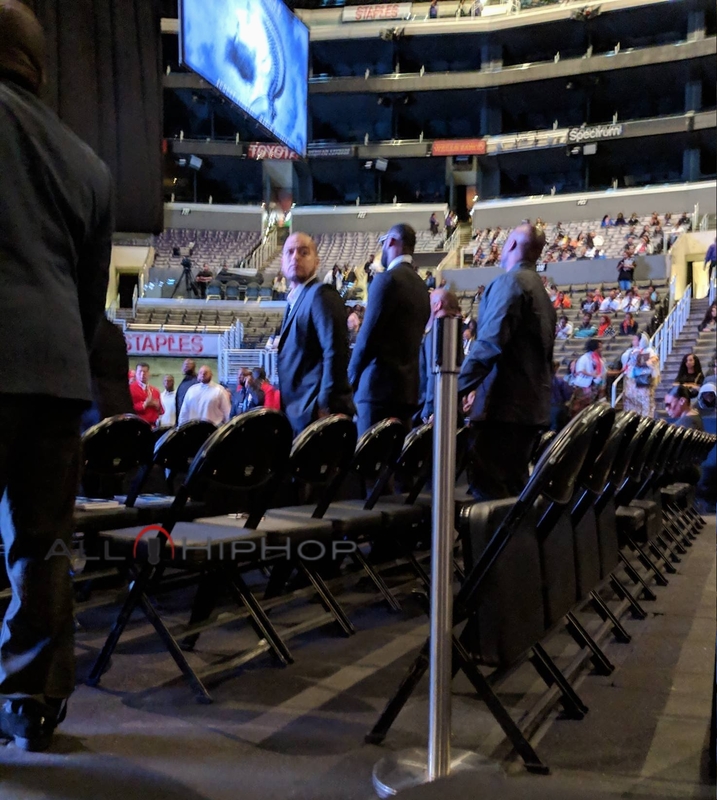 The 21,000 seat Staples Center has been sold out since Tuesday, shortly after tickets for Nipsey's service was announced. 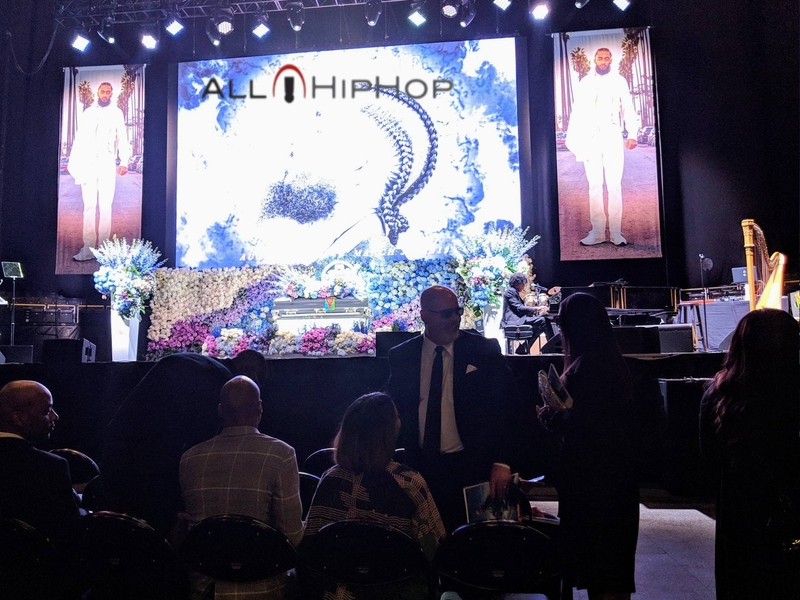 The doors to the Staple Center opened at 8:00 AM and the venue quickly filled up to catch one last glimpse of the rapper's body, which arrived in a silver hearse. The 33-year-old rapper, born Ermias Joseph Asghedom was shot and killed in the parking lot of his Marathon Clothing store on March 31. Security was extremely tight, as the LAPD patrolling the outside and inside of the venue, along with more hired muscle courtesy of The Nation Of Islam. Celebrities like LeBron James, Snoop Dogg, Busta Rhymes, James Harden, T.I., Game and all of TDE were among the rap stars on hand to pay their final respects to Nipsey Hussle. Barack Obama also sent in a letter to honor Nipsey today, which was read by Karen Civil. "He set an example for young people to follow and is a legacy worthy to follow," Barack Obama wrote. 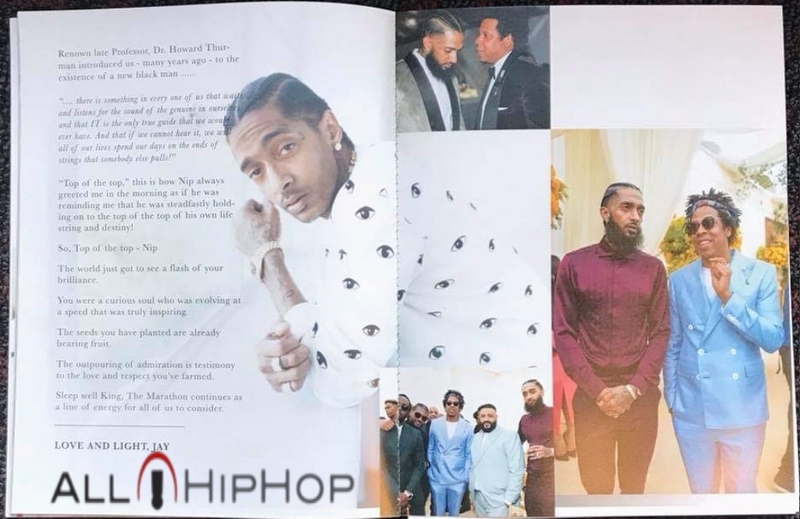 Minister Louis Farrakhan delivered a fiery sermon, while a variety of speakers remembered Nipsey Hussle, including his mother, his brother Blacc Sam, Nipsey's girlfriend, Lauren London, YG & DJ Mustard, Snoop Dogg, who was visibly shaken when he spoke about the rapper. "You may have lost a son but you picked up another son in me," Snoop Dogg said to Nipsey's father. "For god so loved the world he gave us a crip, the late great Neighborhood Nip." 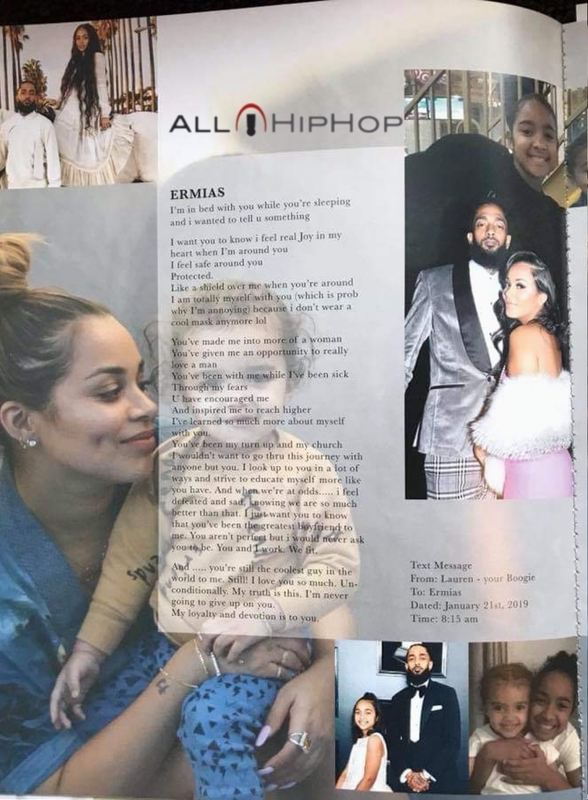 Marsha Ambrosius, Anthony Hamilton, Jhene Aiko, and Stevie Wonder sang emotional tributes to Nipsey, who was beloved for his uplifting lyrics and his community activism. Stevie even issued several calls to strengthen gun laws, before launching into Nipsey's favorite song by Stevie, titled "Rocket Love." Now, the city is preparing for the rap star's 25.5-mile journey through the streets of South Los Angeles to his final resting place at Forest Lawn Cemetery. Great Job.. Allhiphop got us covered..